Heather Dessinger 57 Comments This post contains affiliate links. Are achy legs waking your child up at night? If the problem disappears like a bad dream in the morning, it could be growing pains. About 25-40% of children will suffer from growing pains at one point or another, usually between the ages of three and twelve. (source) And obviously parents suffer, too, because, um, sleep deprivation! Though several studies have been conducted, there is not one agreed upon cause of growing pains. It’s possible like a sore throat – which might be caused by too much cheering at a football game, a viral/bacterial infection, or irritated mucous membranes due to dry air – there may be more than one cause of growing pains. Below are some of the top theories about what causes growing pains, plus natural remedies supported by research. I am not an expert on this, but I think growing pains are probably most often related to nutritional deficiencies. Though it is not quite the same, I used to experience severe restless leg syndrome due to nutritional deficiencies. Nighttime is often when the body chooses to “build,” so it makes sense that it’s scrounging around for building materials at night – if it doesn’t find what it needs easily it will sometimes “steal” from other areas. For me, this was what caused the discomfort, and when I supplemented with magnesium and a few other nutrients, I found that my legs were no longer restless. Read more about natural remedies for restless leg syndrome here. How much vitamin D should children receive? Opinions vary, but you can find the Vitamin D Council’s recommendations here. Because vitamin D supplements – especially isolated ones- may not have the same effect as sunshine, I prefer to obtain vitamin D through wise sun exposure (when possible) and whole food sources like cod liver oil and pastured lard rather than isolated supplements. 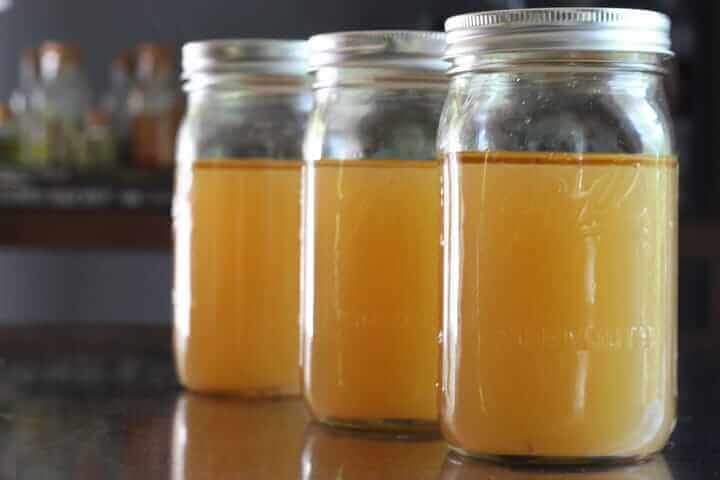 Bone broth is rich in collagen, and something “many people forget about the structure of bones is that around 25-30% of the dry weight of bone is made of collagen proteins.” (Schoenfeld) As mentioned above, providing our little ones with the essential building blocks needed to grow can prevent their bodies from trying to pull needed resources from other areas. On that note, in one 1944 study (yes, 1944! ), supplementing bone meal along with vitamins A and D was able to produce a “complete remission of symptoms” in all 112 children participating in the study. (source 1, source 2) Both vitamins A and D improve the body’s ability to absorb the minerals needed to build healthy bones, so it makes sense that they be taken alongside mineral rich foods. I have seen a pastured bone meal supplement from one source, it is not currently available. Fortunately, bone broth can help with this, too! Although it is not naturally rich in minerals (according to this source), adding veggie scraps to the broth significantly increases its mineral content. If my child were experiencing growing pains, I’d make up lots of bone broth and serve it in a steaming mug every morning for breakfast, plus make sure he/she eats high quality fats including lard (which contains Vitamin D) to maximize absorption. If you’re new to bone broth, here’s a quick video tutorial for making it easily in a crock pot. Epsom Salt Bath – A warm, soothing epsom salt bath will both relax the muscles and improve magnesium status. (source 1, source 2) Here’s my favorite homemade bath salt recipe – lavender would be the essential oil I’d choose for easy achy legs. Magnesium Body Butter (pictured above) – Magnesium is well-absorbed through skin, which is why it’s often incorporated in baths or rubbed on the skin in the form of magnesium oil. Unfortunately for some people, magnesium oil can cause an itchy or uncomfortable sensation when applied in undiluted form. 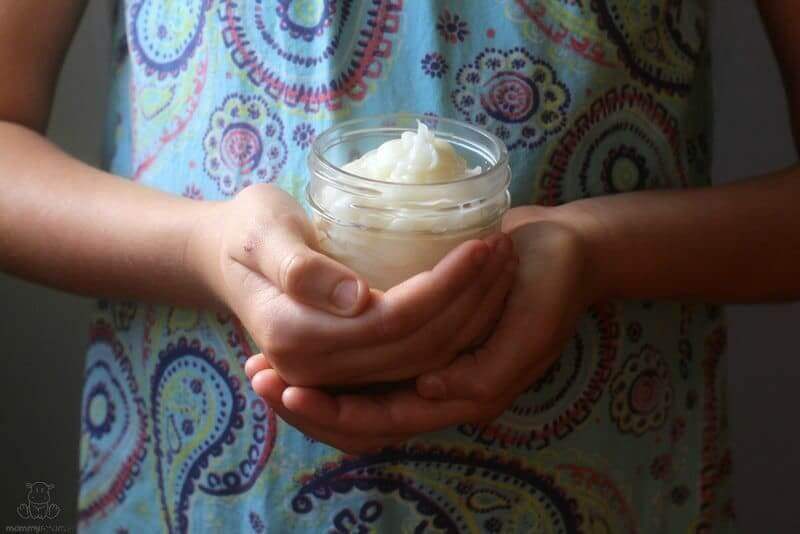 In my magnesium body butter recipe, I’ve blended it with coconut oil and beeswax to ensure that it doesn’t irritate sensitive skin. Liquid Magnesium – I add a few drops of this liquid magnesium to my kids water before bed. Click here to learn more about what form of magnesium is best (and why). In a 2010 study, “two toddlers (a 2¾-yr-old girl and 3½-yr-old boy) were taken to the chiropractor with growing pains of several months duration. Medical care had thus far recommended offering Tylenol. In the chiropractic examination, spinal dysfunction (or vertebral subluxations) were detected in the lumbosacral spine of both children and chiropractic adjustments were made to help improve nerve function and spinal motion. After their first chiropractic adjustment, both mothers stated that their child did not wake at night with growing pains, and after completing a trial of care, both children’s initial complaints fully resolved. Though it doesn’t necessarily address the root cause of growing pains, massage can be a wonderful comfort measure. I found it helpful for my restless leg syndrome, which is somewhat similar, after I gave up tranquilizers and began searching for a natural solution. I’ve only found one low-EMF heating pad and it doesn’t have any rave reviews, so we use a hot water bottle as needed. Foods rich in B6 include chicken, turkey, beef, pork, salmon, tuna, bell peppers, spinach, green peas, yams, broccoli, asparagus, turnip greens, and properly prepared peanuts, sunflower seeds, cashews, hazelnuts, and lentils. Tip: When cooking, adding something acidic like vinegar or lemon juice to B6-rich foods helps to keep more of the vitamin intact. There are also B6 supplements that contain the bioavailable, active form: Pyridoxal 5-Phosphate (P5P). This is a brand I use often for targeted supplementation. 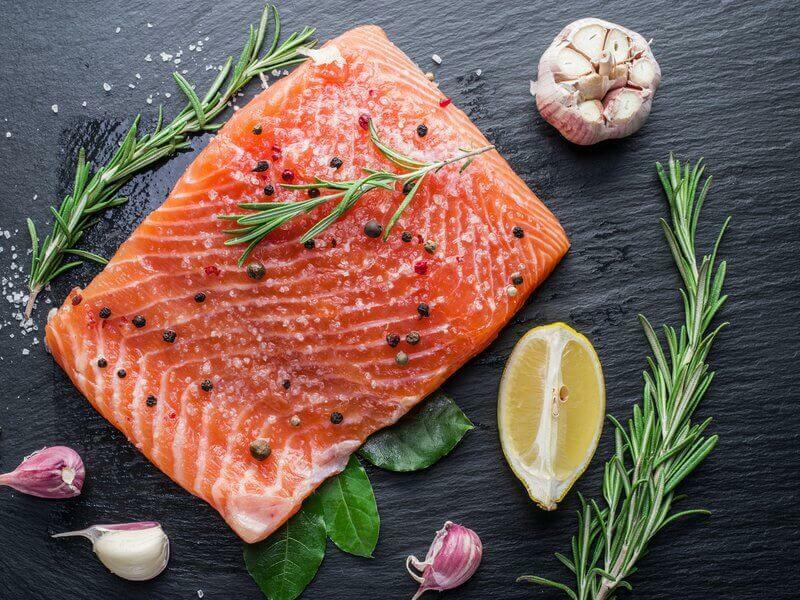 Some of my favorite B6 rich foods are blackened salmon with pineapple salsa, bacon-liver pate and superfood chili. Some moms have reported that their children’s growing pains resolved when the removed problematic ingredients from their diet. For one child it was aspartame, for another it was gluten. Though I don’t know of any studies that are directly related to either of these substances, it makes sense to me that food sensitivities could play a role if they cause significant inflammation. 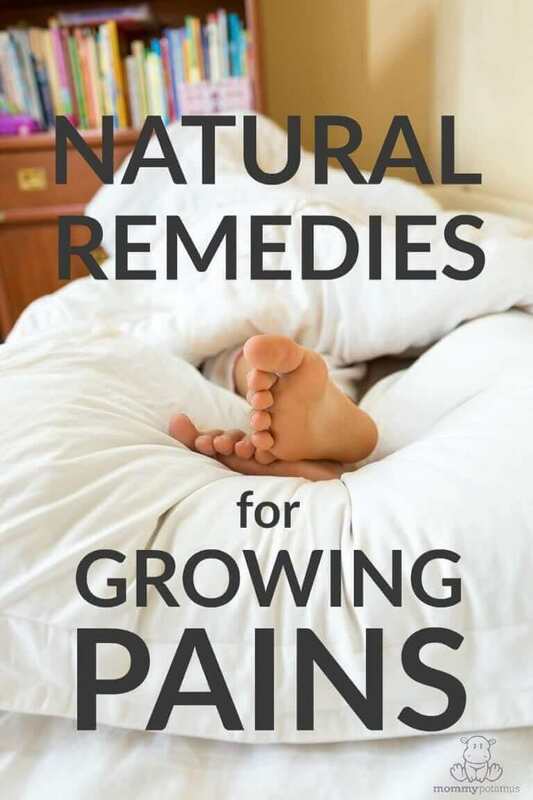 What natural remedies for growing pains have you tried? Please share what has worked for you in the comments! I didn’t read what you posted heather, but may be it is the vinegar in the mustard. . . I’m all about the apple cider vintage!! It’s actually the Tumeric in the mustard. My mom uses this fridge fix, every time without fail for her leg cramps. She swears by it! I used a hot water bottle and it worked so good and I am 11years old ??? It is my understanding that it is the fermentation process that causes histamines, correct? If so, there is a new cod liver oil that I believe will be available soon. It’s raw but not fermented. Thank you for your answer. 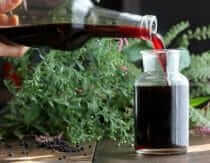 Yes, it’s because of the fermentation process, that makes it very high in histamine. That would be great, a new cod liver oil without fermentation! Does it also come from Green Pastures? Something that really, really helps almost instantly for growing pains is calcium, though I’m not sure exactly why. We had amazing results with magnesium oil. After a couple days of applying it just before bedtime, my daughter went from waking screaming almost every night to sleeping soundly. That was about a year ago, and we don’t apply it every night anymore, but if she is going through a growth spurt we start back up again. 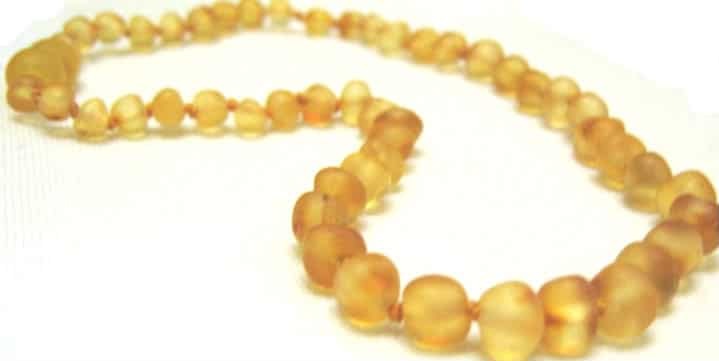 Baltic Amber is also great for growing pains. Right when I first started researching and making healing jewelry I came across this research and put my 5 yrs old teething amber necklace back on her and it cut out her pain by 90%. My Son Gets Growing Pains Occasionally And I Alway Rub/ Message His Legs With My Doterra Essential Oils. I Use Lemongrass And THeir Aromatouch blend. It Always Seems To Help! 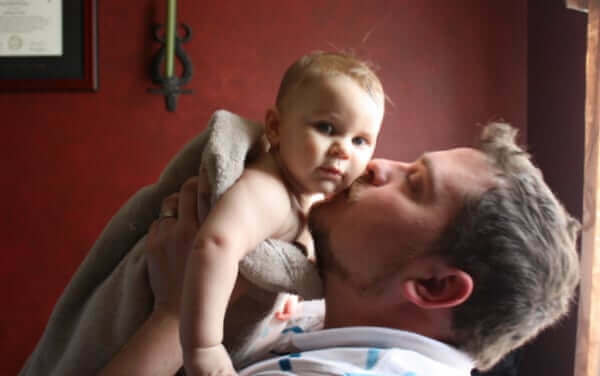 My son’s pain is due to food sensitivity and inflammation. We give him half a teaspoon of turmeric with some juice in order to make a thin paste. It tastes nasty but works in about 5 minutes. Ummm, love the chiro you featured in this post ;)! Awww, this makes me miss the good ole days… How many years have we all lived since those pics?! Great post. I would love to know more about the new raw cod liver oil you mentioned. My daughter and I get leg pains especially when it is humid. I was always told I had growing pains, but I still have these pains and I’m 44. I have low blood pressure and found that when I drank sufficient water through the day, a humid day would not bring the leg pains. If I was dehydrated, I had more leg pains. I did an experiment on my daughter who has the same pains: When I knew it was going to be a humid day (and knew she’d be in pain all day), I told her to finish her water bottle (750mL) by the end of the school day. No leg pains every time. Then, when I forgot to tell her, and she forgot to drink — leg pains that day. For us, it wasn’t really “growing pains”, but “dehydration pains with low blood pressure”. I hope that helps someone who might have the same pains as my daughter and I. Doctors don’t really help – they just say to take tylenol. Water works just as well to relieve the pains! Whenever I had an ache or pain growing up my mom would tell me to go drink 8 oz of water and come back in a half hour if it still hurts! Turns out she was a wise woman! Wow! so many great ideas…thank you. Can anyone recommend a good place to buy good cod liver oil from? I love that stuff for my son and would love to get some in preparation for the winter months…thanks! My mother used to give me FCLO and bone broth. My daughter used to come home from school with headaches and I let her take a water bottle. She drank all the water and guess what no headache. The doc told me to give her pain meds. I have been diagnosed with really low vitamin D via blood test. I had been taking FCLO but have gotten away from it. In addition to being careful to add magnesium lotion and bone broths in more often, what are your thoughts on FCLO vs. Skate Oil? I believe I read that skate oil is higher in vitamin D, although not sure. Sun exposure is limited now especially as we’re moving into colder weather and I’m covered up. Thanks! My Mom would always give my youngest sister magnesium citrate for her growing pains and it really helped! I would imagine that rubbing magnesium oil over the affected area would be helpful, too. Magnesium is such an important, and frequently lacking, mineral! I would definitely say that it is most of the time a magnesium deficiency. Homeopathics are also VERY effective for this problem. My son suffered with this for many many years until I understood. I have found that i can predict when my 6 y.o. will waken with growing pains based on whether she stays up too late that night. It seems like a sleep deficiency causes it for her. just curious, is the chiropractor picture Jim Bob Haggerton? I’m sorry (and maybe it’s just me and my tender AM stomach?) but the idea of bone broth for breakfast makes me gag…. Is the same stuff in bone broth in the kosher gelatin or is it much different? Because otherwise it’s bone broth for snacks for a while and that’s not gonna be popular…. She’ll live though and I’d like to get rid of the growing pains!! (and growing 5-6 inches a year I guess I’m not surprised that her body is scrounging for nutrients even with a good balanced diet…. time for some superfoods.) You’ve encouraged me again to overcome the sticker shock and get some of the fermented cod liver oil and start dosing everyone in the family. I had horrible pains growing up. My mom would get rubbing alcohol and put it on my legs, put my PJs on then cover me with my blanket. Sometimes two depending how cold it was. You have to keep warmth on where the pain is after you put the alcohol.The pain goes away fast. We have used this for all the kids in my family. It really works and don’t need much but the rubbing alcohol. Just be sure they do whatever needs to get done before they lay down n do this. Its better if they don’t get up once its applied. As an adult I still get pains in my legs at times and this still works for me. What kind of alcohol do you use? Pure 100 procent? My Mama would do this for me, too! I had terrible growing pains and I am afraid my eight year old is going to, too. He recently has started complaining. The insistent hip and leg pain I had as a child is how my mom figured out I had juvinile scoliosis and we ended up correcting it with a few months of chiropractic care. I’ve had excellent results with a combination of chiropractic adjustments, calcium lactate and essential fatty acids for growing pains. The same remedies usually handle teething pains also. You have other great suggestions here. Rubbing alcohol works too! Just pour some on a Cotten ball or rag or anything like that & message your kids legs with it! My mom always did it for me I now do it for my 2 year old daughter! I still do it after chasing her some days is still get those achy uncomfortable pains! Can I ask what alcohol you use? I use tissue salts, specifically calc phos #2 (for bones) and that helps. Only one at a time. And a warm magnesium bath, sometimes with traumeel to help her muscles grow with the bones. Poor thing. My husband is very tall, and she could easily grow to be 6 feet tall! Very light myofacial cupping works well. My girls experienced 2-3 days of relief after a quick treatment. A second treatment was all we needed to get us to the end of that growth spurt. My friend does that (ice pack) and next Time you get them try lying down flat and take lots of water I have them at the moment and it kills! But I only get it at night cos I’m usually quite active in day times I do rugby hockey and running so I get quite a lot of pains in my legs all the time hope I helped ☺️~ hope xoxo? My 5 yr old daughter is EXTREMELY active and has been bothered by leg pains (and sometimes arms) at night since she was about 2 1/2 yrs old. Her pains are always worse when she has been jumping off high things, running a lot or doing a new physical activity over and over and over (skipping, swimming, swinging by one arm). I have found that consistently giving her Magnesium and Epsom salt baths works really well. It takes a while for the Magnesium to build up in her system, but once it dies the pains go away. When they DO go away and I am no longer getting up at night, I often start to forget to give her the Magnesium and it comes back! Sometimes getting sleep helps and lying down not quite sure why this helps but I do it all the time and it’s helped me ever since I was 6 and I’m 13 now! I think it’s cos your relaxed and the blood travels around your body more gracefully I think is this right?☺️? I suspect this is what is going on with my 4 year old lately, though this week she ached all day. An MSM cream helped some, as did stretching. I’m considering extra magnesium, magnesium oil, extra Epsom salt baths, and since it’s winter in the cold frozen North, vitamins D, A, and K2-7 (essential when you take D or Calcium). I was thinking growing pains must be a deficiency. She’s got deficiencies in several things according to her hair mineral analysis. This should be interesting. Especially when my 18 month old is a bit bigger. He has worse deficiencies but in different things than she does…. Growing pains are caused by a different rate of growth between bone, muscle and ligaments. 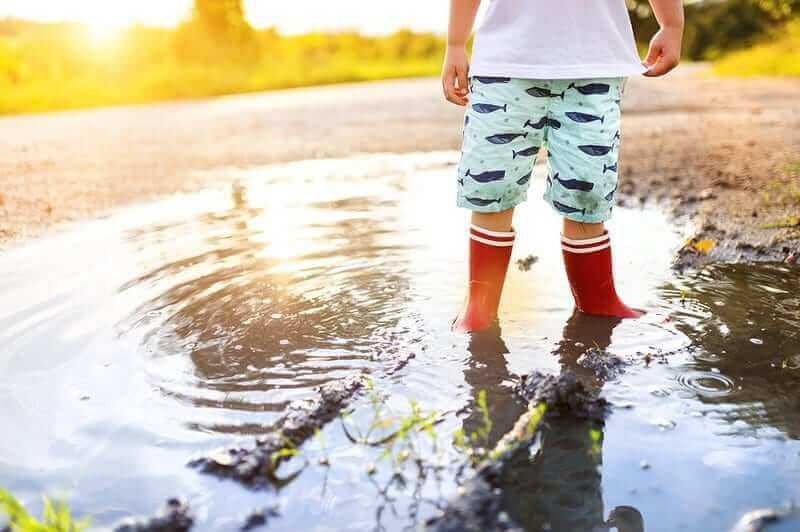 Magnesium supplements are often reported to help because they help relax the muscles, but you should be careful giving extra magnesium to kids. As a physiotherapist, I recommend stretching – every morning and night. It’s a lot of effort and more time consuming that popping a supplement, but I haven’t had one case where it hasn’t worked. My son is 17 months old and waking every night screaming in pain. Would these be ok to try on him? My 3 yr old has had growing pains for about a year and bananas seem to help her as well. She eats them fresh or in a pouch (baby food puree) and so long as she has one a day, she seems to be okay. This page has some great tips I’m going to try, too. Alternative to the water bottle, try a rice bag. It’s fabric sewn together and filled with rice (or corn), and you put it in the microwave and place it on the area. It’s great for growing pains, cramps (menstrual or not), soreness, etc. etc. You can also use a stuffed animal and just cut one part (i’d recommend using a pillow pet or just a more round stuffed animal), pull the stuffing out, fill it with rice, and sew it up. My daughter has had growing pains since she was about 18-24 months old. At first a mix of calcium magnesium helped a lot, her pains went away and would only come back when i forgot to give the mix for a few days. However, this year the pains came back with a vengeance, i tested a theory that my daughter was eating too much protein (she loves meat) and figured out, as odd as it sounds, that if i cut out chicken her growing pains go away (she sometimes will have very small portions of it) . Other meats are ok. I also try to give her not more than 20 grams of protein per day (13-20 is the recommended norm). This was confirmed with my nutritionnist. Did anyone else ever try this?